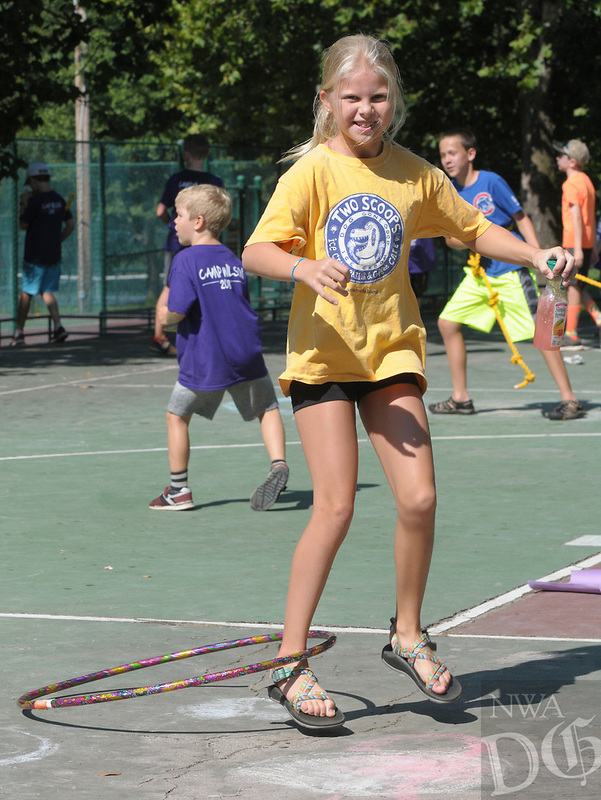 NWA Democrat-Gazette/DAVID GOTTSCHALK Lily Nelms, 9, spins a plastic hoop Friday, August 3, 2018, with her leg during the city of Fayetteville’s Parks and Recreation Department Be Active! Camp Wilson at Wilson Park in Fayetteville. Camp Wilson II is scheduled for next week and for campers five through 15 and will feature sports and recreational activities.